The new BlackBerry 10 OS from GLOBE for only P 1,499!!! - Hello! Welcome to my blog! 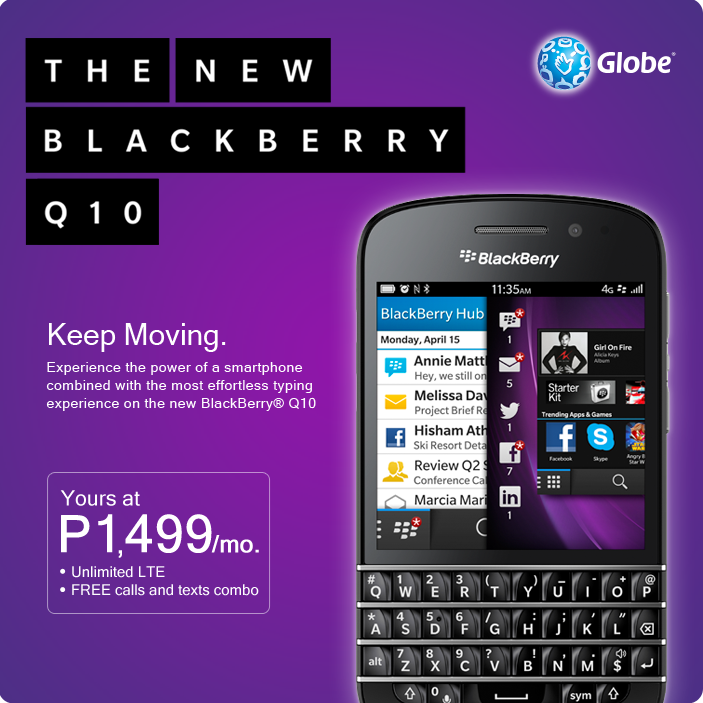 The new BlackBerry 10 OS from GLOBE for only P 1,499!!! BlackBerry fans! Time to shift to the new BlackBerry 10 OS! Experience the most advanced BlackBerry OS on the new #GlobeBBZ10LTE, for as low as P1499/mo!